It didn’t take him long. Only 27 games to be exact. 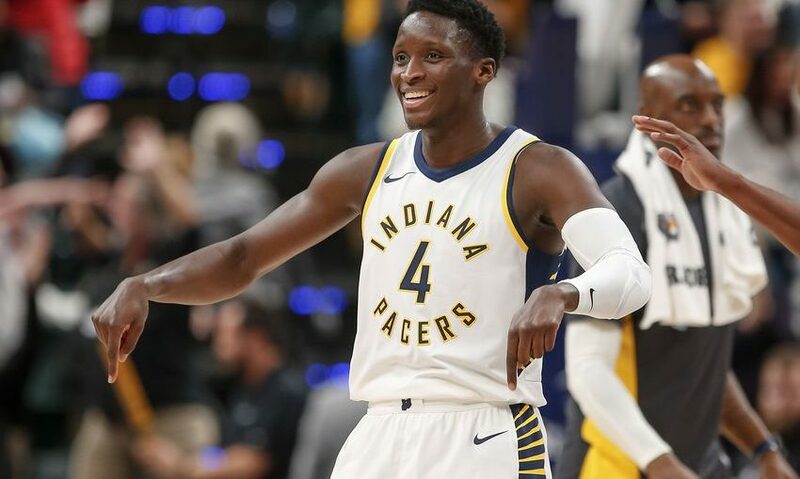 After dropping a career-high 47 points against the Denver Nuggets on Sunday night, Victor Oladipo officially cemented himself as the star of the Indianapolis Pacers franchise. The star that Pacers fans have been waiting for, ever since the glory days of Reggie Miller. We thought we had it in Paul George, and then Myles Turner, but quickly Victor Oladipo is proving that he is here to stay. After being teased for seven seasons by Paul George, we finally figured out who he really was. Now Indianapolis and the rest of Indiana, get the superstar they deserve. Oladipo is the epitome of a Hoosier. A hardworking, blue-collar, win at all costs player. This season, he looks like an All-Star. The future? Well, with the high-motor and inner-drive that Oladipo possesses, only he can tell us. Shortly after the news broke that Paul George had been traded to Oklahoma City for Victor Oladipo and Domantas Sabonis, the Oklahoma City Police Department started trolling on Twitter. Little did they know that they were the ones being robbed. Welcome back to Indiana Victor Oladipo, we have been waiting for you.